It’s time to think in circles with Italian architect-artist-designer Gaetano Pesce, whose first foray into footwear echoes his trademark modular designs. Working with eco-friendly shoe company Melissa Plastic Dreams, Pesce has created an ankle bootie composed of interlocking vinyl spheres, any of which can be snipped off with scissors at will. 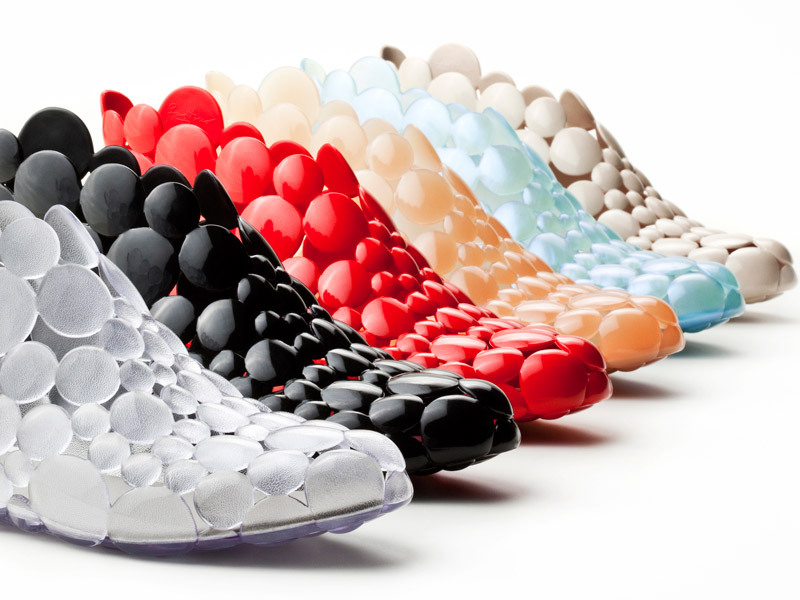 Although the shoe is available in an array of funky, candy colors, its biggest appeal is its versatility. The best part? It allows you to alter what you already own instead of buying something new. Although Melissa has worked with many of our fave designers, including Vivienne Westwood, Zaha Hadid, and Jean Paul Gaultier, Pesce differentiates himself by offering a product only half-finished. Unlike a completed shoe, the bootie is a canvas designed to be reworked. Unlike a completed shoe, the bootie is a canvas designed to be reworked. By allowing the owner to change the form of her shoe on a whim, Pesce is redefining the relationship we have with our belongings. Ballet flats with skinny jeans one day, peep-toe sandals with a high-waisted skirt another; the artistic alternatives are endless. It�s time to think in circles with Italian architect-artist-designer Gaetano Pesce, whose first foray into footwear echoes his trademark modular designs. Working with eco-friendly shoe company Melissa Plastic Dreams, Pesce has created an ankle bootie composed of interlocking vinyl spheres, any of which can be snipped off with scissors at will. 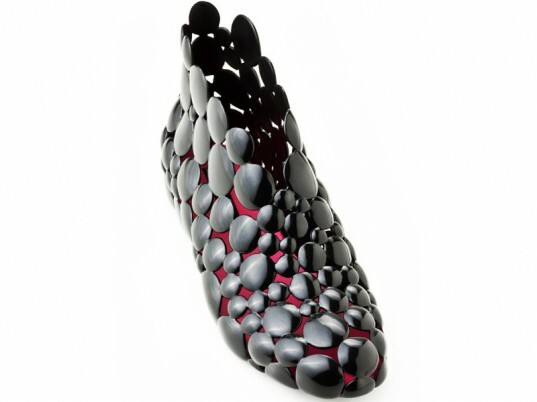 Although the shoe is available in an array of funky, candy colors, its biggest appeal is its versatility. The best part? It allows you to alter what you already own instead of buying something new.